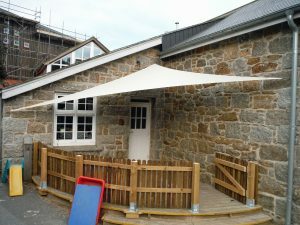 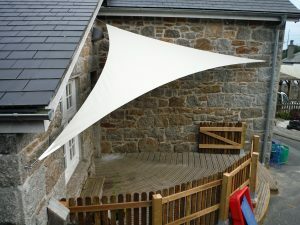 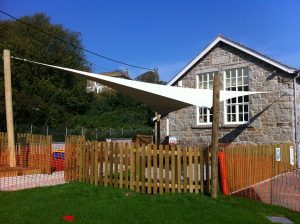 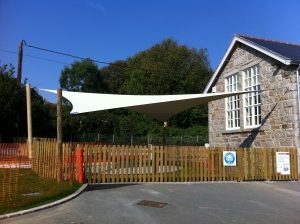 We have worked closely with Mousehole school to produce their large shade sail and have since manufactured and installed 2more smaller shade sails. 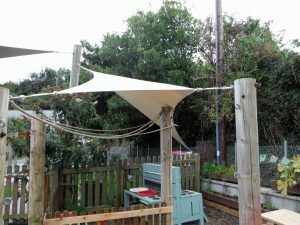 These are made in top gun with heavy duty reinforcement, marine stainless steel fittings and marine stainless steel rigging screws and shackles. 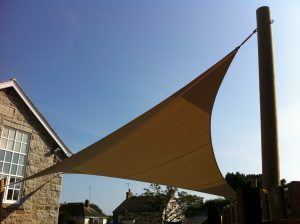 For any information about our shade sails please call us on 01736 754659.